Boasting a proud and resilient history, the landmark Chicago Firehouse Restaurant at 1401 South Michigan Avenue delivers a memorable, guest-first dining experience. Formerly Engine Company 104 of the Chicago Fire Department, the Chicago Firehouse Restaurant infuses thoughtfulness into every detail. To uphold the longstanding tradition of serving the South Loop neighborhood, this acclaimed 1905 Romanesque Revival structure opened its historic doors in 2000 as the Chicago Firehouse Restaurant. The structure and menu are designed to reflect uniqueness, thoughtfulness, quality, and relevance. The past is preserved in the present with a variety of dining room options. 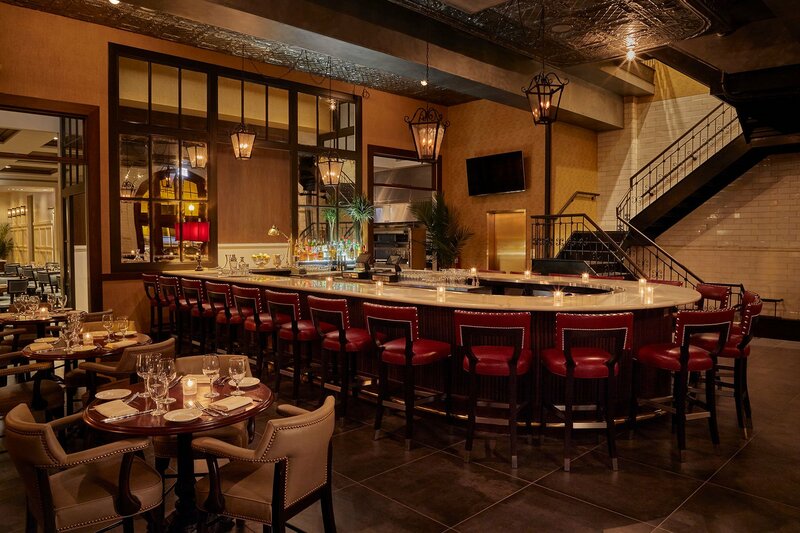 The Bar Room, Company 104, is a refined dining experience celebrating the history of the firehouse. In the main dining room, the carefully appointed mural envelops guests in the ambiance of the 20th century. The floor to ceiling windowed solarium, accented by plantation shutters, is energized by radiant, natural light. Adjacent to the solarium is a quaint patio originally housing the horse stables. The patio’s cobblestone pavement and tree-lined border provides a secluded urban escape. 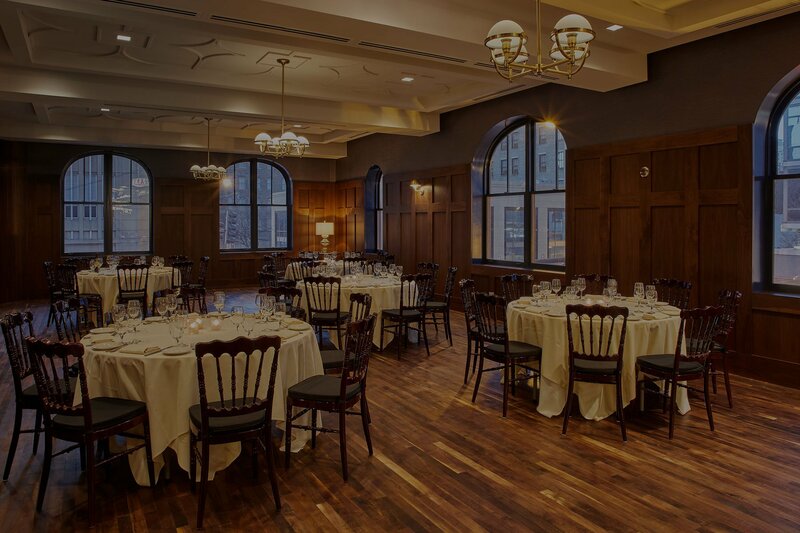 In addition to the first-floor dining options, The Chicago Firehouse Restaurant offers three private dining room options accommodating parties of 12 – 150 guests. The Veranda Lounge adjoins one of the private dining rooms and affords a spectacular view of the South Loop skyline. The timeless house favorites, steaks, chops, and seafood, are complemented by distinctive, contemporary seasonal dishes. A legend in its own time, we invite you to experience culinary excellence and impeccable service at this applauded neighborhood restaurant.